Sapna C. Patel is the Head of Market Structure and Liquidity Strategy at Morgan Stanley for the Americas and is an Executive Director on the Morgan Stanley Electronic Trading desk. 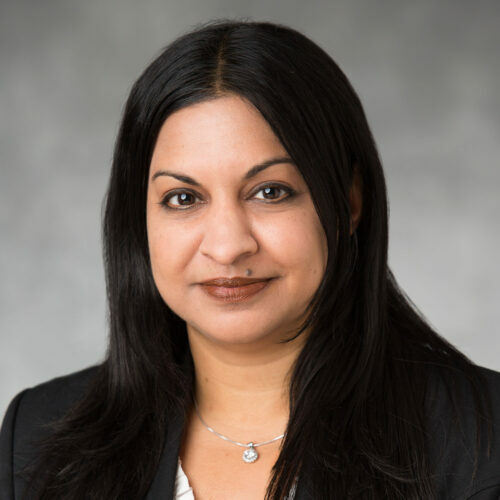 In her current role, Ms. Patel focuses on market structure issues, regulatory developments, order routing and liquidity strategies, as well as business development. Prior to joining the desk in 2008, Ms. Patel spent three years as an institutional equities coverage attorney in the Morgan Stanley Legal and Compliance Division. Ms. Patel began her career at the U.S. Securities and Exchange Commission in the Division of Trading and Markets (formerly the Division of Market Regulation), and held various positions during her five years at the agency. Ms. Patel holds a Juris Doctorate degree from the University of Maryland School of Law and Bachelor of Science degrees in Criminal Justice and Psychology from American University.